Video Game Firsts - LGBT Characters In Video Games | Warped Factor - Words in the Key of Geek. Geek Dave waves his rainbow flag. During the 1980s, characters that could be argued as identifying as LGBT were rarely shown in a realistic context in any form of media and were often the object of ridicule or jokes. Some may argue that very little has changed in the last 30 years, others may feel that change has come but not enough. Whatever your stance when you compare today with the mid-1980s, we really are light-years away. Rather than turning this into a soapbox for equality, let's get down to business and look back at the first appearances of an LGBT characters in a video games. 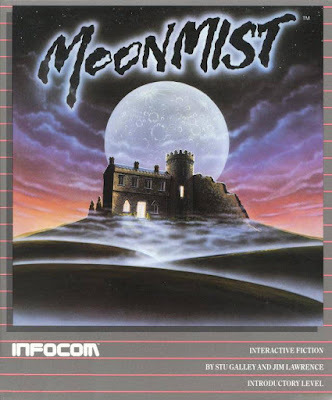 The first known reference of a homosexual character in a commercially available title came in 1986 when Infocom released Moonmist, a text adventure mystery with several possible randomly selected plotlines. In one of these plotlines, the criminal is a female artist who is jealous because her girlfriend is married to a man. Caper in the Castro arrived in 1988. Billed as a gay and lesbian murder mystery problem solving game, it was 'available' for Apple Mac computers and written in the HyperCard language. I say 'available' because it seems it was mainly distributed on underground gay bulletin boards. Unfortunately Caper in the Castro is lost to time, no images or code longer exist (or I can not find any), but there is a very interesting interview with the games designer C.M. Ralph here. Our next game to feature an LGBT character was released in the same year. Surprisingly the title came from Nintendo. Even more surprisingly it was Super Mario Bros. 2! Super Mario Bros. 2 didn't actually start life as Super Mario Bros. 2. It was originally called Yume Kōjō: Doki Doki Panic, and was converted for the North American market (and subsequently the world) to provide a sequel to Mario's debut NES adventure. Many of the sprite's were updated to look like the characters we knew and loved, and a whole host of new characters were introduced into the Mario universe, among them was Birdo. 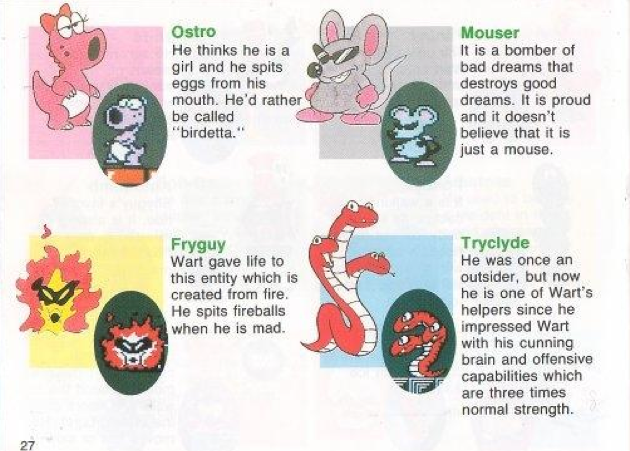 In the first-edition manual for the North American release of the game, Birdo is referred to as a male who believes that he is a female and would rather be called "Birdetta", making her the first transgender character for Nintendo and the industry in general. In all that updating of sprites and characters some mistakes crept in. Birdo's name was accidentally switched with another Super Mario Bros. 2 enemy, Ostro, both in the manual (above) and in the end credits. 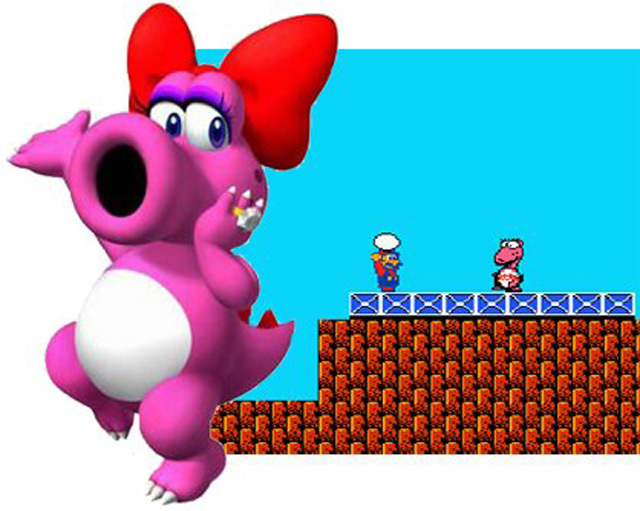 Later games featuring the character have made conflicting statements of Birdo as female, male or of indeterminate gender. But regardless of how she saw herself in the future, on September 9th 1988 Birdo became the first LGBT character to feature in a mass produced home video game.